In its fifth year after entering the Chinese market, US new energy vehicle giant Tesla Inc in July decided to build a car plant, dubbed Gigafactory 3, in Shanghai and is now recruiting its first large-scale batch of employees, according to a report by 21st Century Business Herald. Jobs posted by Tesla on its official WeChat account on Sunday include director of engineering procurement construction, government affairs project manager, construction manager, civil engineer, electrical design engineer, mechanical designer, legal counsel, senior financial manager and recruiter. 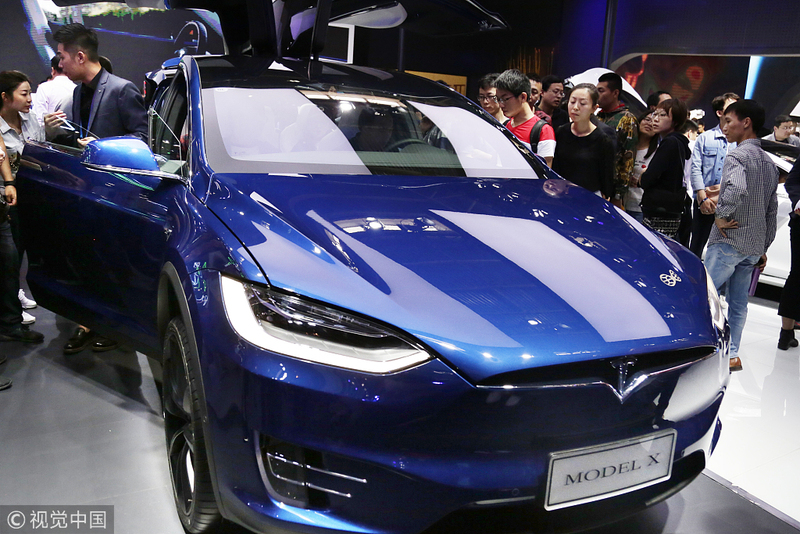 "Tesla Shanghai plant has already snagged engineers from SAIC by offering them three times their salaries," a person familiar with the issue said, according to the report. In the next few quarters, construction on the plant will begin and the first cars are expected to roll off the production line within three years, the company said in its second-quarter earnings report. Tesla, with its second-quarter revenue increasing to $4 billion by 43 percent year-on-year, suffered a net loss of $743 million for the second quarter, nearly twice its loss of $401 million in the same period last year, according to the report. While the outside questioned how Tesla will fund its Shanghai plant, Tesla CEO Elon Musk revealed on a conference call the cost of building the Gigafactory 3 is expected to be $2 billion, less than half of the $5 billion it spent on its first Gigafactory in the US, and the company will find local debt to fund the factory. "For China I think our default plan will be to use essentially a loan from local banks in China and fund the (Gigafactory) in Shanghai with local debt," Musk said, according to a report by Reuters. The Gigafactory 3, Tesla's first to be built outside the US, is also the first wholly foreign-owned car manufacturing facility in China following the country's relaxation of its rules on capping foreign ownership of NEV ventures earlier this year. "Tesla, planning to build its wholly-owned factory in Shanghai, brings no capital from the US and wants to raise capital from local financial institutions rather than from stock market, which makes us concerned what kind of property it will use as a guarantee and who from the US would like to be its guarantor," Zhong Shi, a car industry analyst told 21st Century Business Herald. Zhong said the repayment would be a big problem if Tesla's products did not sell well in the future.